FEATURED PETS FOR ADOPTION in LOS ANGELES. PLEASE CONSIDER ADOPTION THIS HOLIDAY SEASON. THERE ARE SOME AMAZING DOGS AVAILABLE FOR ADOPTION THROUGHOUT MANY RESCUE ORGANIZATIONS AND IN OUR LOCAL SHELTERS. OMG this poor little guy! He is such a love. He was found thrown out in a tightly taped up box at a gas station. If that wasn’t bad enough, he then sat at the shelter for a month waiting for someone to save him and no one came. It was in the 11th hour that our rescue saw his story and said there is no way that poor dog is going through being saved from that and then being killed in the shelter.He is SOOOOO sweet! We can’t understand where he came from because he is the best little dog. 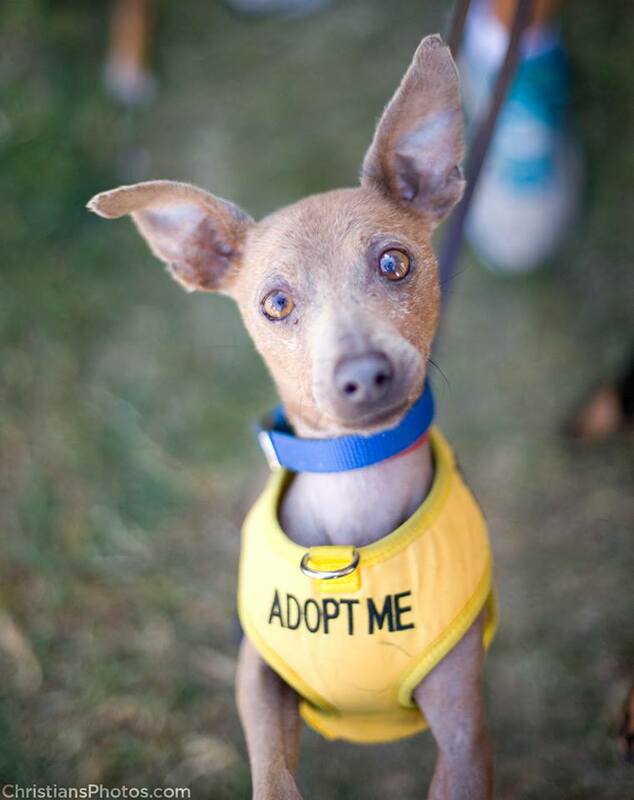 His foster mom wrote this…”Someone please give this little guy a good home! He is so special in every way. What a fun little personality! Best Foster dog we have ever had! He gets along great with our four year old little girl and our elderly chihuahua. Shopped for an hour in a dog bag and didn’t make a peep! We will provide his food for one year to the person who adopts him.”He is approx 6-8 years young and loves riding in the car and going for walks and hikes. He knows sit and stay and does fine around other dogs. He can be anywhere from 6-8 years old and has lots of fun energy to him. He has been in three short term foster homes and adapts to new environments very well. Our WISH is for Tebow to be in a stable permanent home. A home without small children. Please consider making this wonderful boy a part of your home.Email: adoptions@apeaction.org to fill out an adoption questionaire. Edie is giving you her best “Please adopt me” look in this picture. She is about 5 years old, a Fox Terrier/Chihuahua who would love to belong to someone special. She is so sweet and loves everyone. 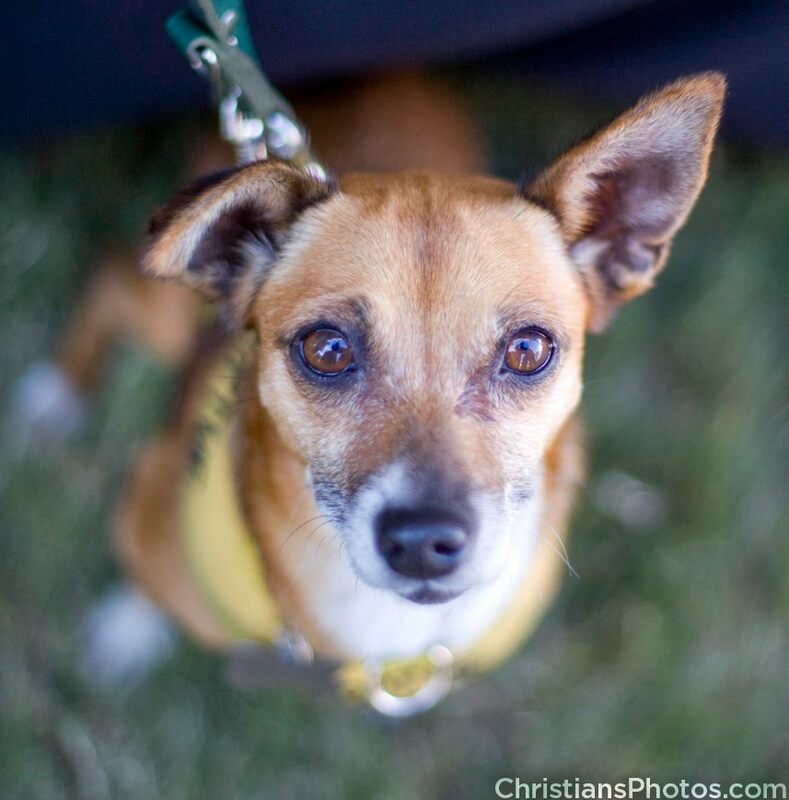 A great little dog who enjoys other dogs, new people, but again, is pining for a special heart of her own. She is about 10 pounds of pure happiness. If interested in Edie, please contact us for an application to set up a meet and greet!She was saved from the shelter being left their by her owners and put in the medical ward. Since getting out of the shelter and healing/rehabbing she’s been DOING GREAT! She has a TON of energy and LOVES to hike and walk! She’s got the energy of a 2 year old (that terrier in her) so DON’T let the age of her fool you, this girl is READY TO GO! She’s the sweetest little thing, loves to be healed and cuddled. She gets along w/other dogs, is crate trained at night, is learning to walk at a heel on leash and is a tiny little thing, only about 10lbs. If you would like to meet this beautiful little girl, contact us for an application. Approved applications can set private meetings in the West Hollywood area, she is also at adoption events so contact us if you would like to know where she will be shown next. What a lover. He’s soooo happy to be in a safe place, even though boarding is pretty scary/close to being in a shelter, he knows he’s got better days ahead and is so thankful! He LOVES to go for walks, but also loves to be carried when things get a little scary. This boy deserves to never, ever have to worry about being taken care of again, and we are going to make that be something he can count on.Please contact us if you would like to adopt or even foster this sweet little guy, he’d love to get out of scary boarding! Here is his back story…(get a tissue) This poor little guy has had some REALLY bad luck, but thankfully that has now changed. He was taken out of a shelter by a “rescue” that was later evicted and dumped him and 5 other dogs back into a high kill shelter. This “rescue” also abandoned a bunch of dogs in boarding and left over 50+ cats and kittens (some dead) on the property. BE CAREFUL WHO YOU ADOPT FROM AND VOLUNTEER WITH! We found about him and the others in the shelter and hoped they would be saved. Two were adopted and the other four waited and waited. Speaking to the shelter worker, at the over populated kill shelter out in the middle of the desert, that was trying to get them out into rescues or adoptive homes they were sweet dogs that the “rescue” said were her personal dogs. We decided that leaving them there to die would be too heartbreaking for us to consider, so we took them w/just a few donations and no where for them to go. They are now in boarding waiting adoptive or foster homes. This bundle of love is looking for his soul mate. He will melt your heart w/his sweet expressive eyes. WE can’t wait for him to find his forever person, he is so deserving of the love every dog deserves. He has a hair loss issue we will be looking into fixing, but other than that he is the perfect little man.Please contact us if you would like to adopt or even foster this sweet little guy, he’d love to get out of scary boarding! I am already spayed, housetrained, up to date with shots, good with kids, good with dogs, and good with cats. Meet Sushi! She is a sweet girl, calm, and gentle and about 20 pounds. She is great with kids, cats, other dogs-tall to small. Does not bark (except when playing or when wanting to meet a dog on a walk), walks well on a leash. Just needs a heart and home of her own (with her “brother” Teddy). If interested in Sushi and Teddy, they are available to be seen, this weekend by private appointment with an approved application or at an up coming adoption event (contact us to see where they will be next).We have two of the most adorable, sweetest, easiest dogs we have ever had up for adoption! Whomever adopts these two are going to be so lucky to get such an amazing pair. Sushi is just as lovable as Teddy. She is also very playful. She loves to instigate Teddy into chasing her or visa versa. She loves people, kids and other dogs. At first she acts aggressive when she sees other dogs but all she wants to do is sniff and play. She’s not a biter or fighter, her shots and rabies are all current. She has no medical issues. She is a calm dog but she gets funny playfully crazy when she wants to play. She is about 7 years old and around 20lbs. Sushi and Teddy can be seen in West Hollywood via a private appointment upon an approved application, or at adoption events, contact us if you would like to know when/where they will be shown at on weekends. Sweet Teddy looking for a home and a heart of his own. Super sweet purebred shih tzu, is about 6 years old, calm gentle temperament, ultra social and very affectionate. Great manners with other dogs. About 20 pounds of pure love. If you want a super sweet natured dog for yourself or kids, this is the guy with his “sister” Sushi. They are a bonded pair and need to stay together, they are so easy having two will make your life double the fun.They are the sweetest, easiest little dogs! They have not been in a home w/cats, but have been at the vet w/two cats in the office and neither of them cared at all about the cat, so if you have a cat that is dog savvy, I think they will be fine w/one. Teddy was bought at Barkworks in the Cerritos mall in 9/09. He was born 7/09. So he is just over 6yrs old. His shots and rabies are all current. Teddy is very playful, very loving and does not bite anyone. He loves when someone scratches his back and rubs his belly. He’s not a fighting or biting dog. He is not house trained. (WE will work on this) He’s very playful with people, kids, and other dogs. Teddy is a very calm dog. May jump on you when playing with him but very gentle. We would LOVE to keep him together with his sister Sushi if at all possible. He and his sister Sushi can be seen via private appointment in West Hollywood upon an approved application. They are also at adoption events every weekend, please contact us to find out when/where they will be if you would like to meet them at an event. My name is Mr. Russell! I am already neutered, house trained, purebred, up to date with shots, good with kids, good with dogs, and good with cats. This is your guy! He’s the SWEETEST chihuahua we’ve ever met, just wants a lap to put his name on and he’s all set.If you are looking for your best friend for life, Mr. Russell is your man. 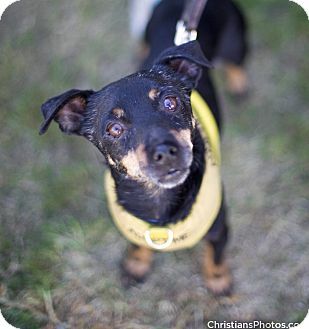 He loves to go for walks, hikes, car rides or just hang out at home and cuddle on the couch or in your lap. He gets along with all dogs and didn’t seem to care about the cats at the vet office so he’s probably fine in a home with either, both or none.